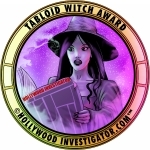 [HollywoodInvestigator.com] Former Los Angeles Mayor Richard Riordan has endorsed competing candidates in the upcoming June election for California's 26th State Senate district seat. And both Amy Howorth and Ben Allen -- candidates for the 26th S.D. -- are touting Riordan's endorsement in their political mailers. 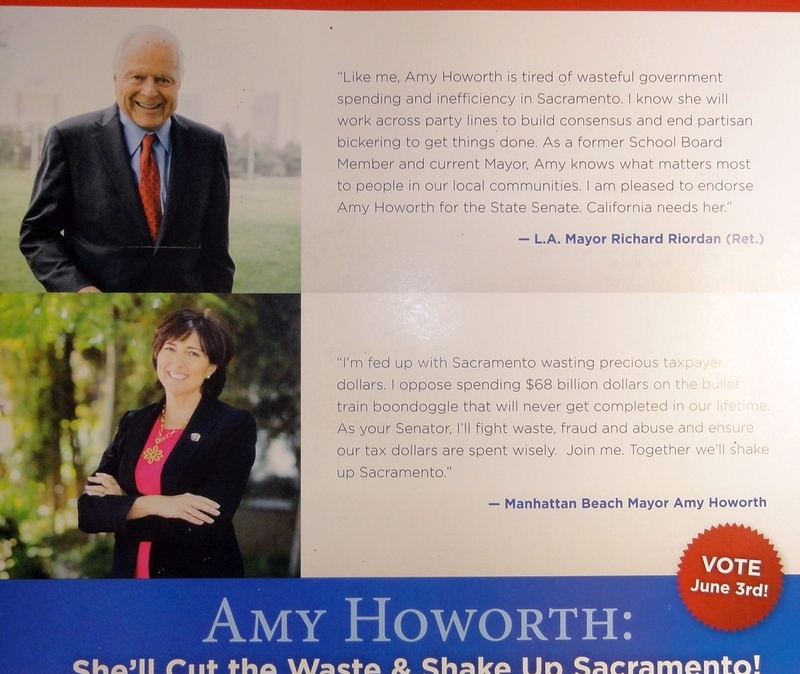 Howorth's mailer quotes Riordan as saying, "I am pleased to endorse Amy Howorth for the State Senate." 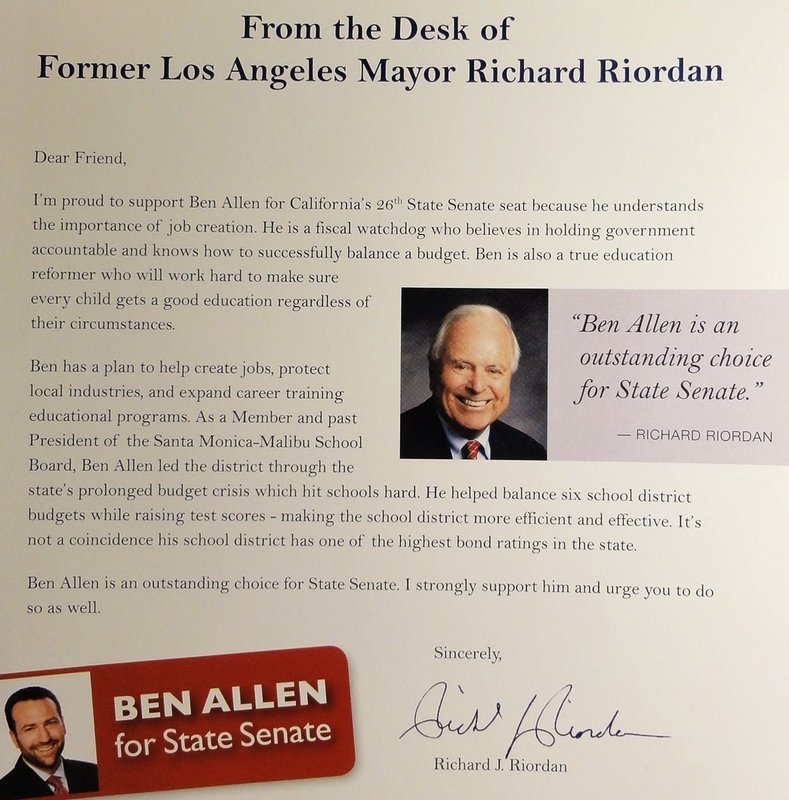 Similarly, Allen's mailer quotes Riordan as saying, "I'm proud to support Ben Allen for California's 26th State Senate seat." 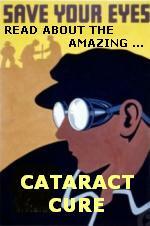 Since Republican Riordan endorses both Howorth and Allen, whom does he really support? But lest you think Allen leans Republican, yet another Allen mailer claims support from Democratic politicians Zev Yaroslavsky and Fran Pavley. Pavley is quoted as saying, "I wholeheartedly endorse Ben Allen for the State Senate." 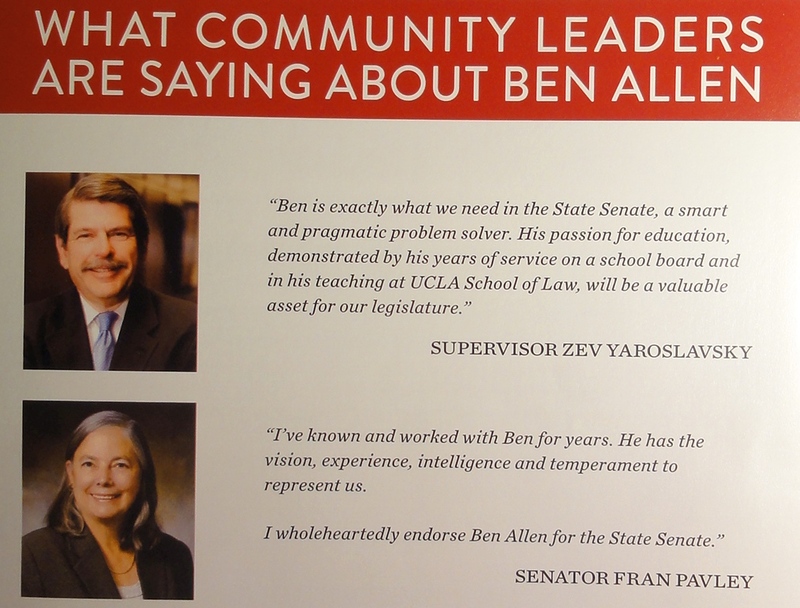 Tellingly, Allen trumpets his Riordan and Yaroslavsky/Pavley endorsements in separate mailers. Is the former targeted to registered Republicans, while the latter is sent to Democrats? Do Independents get both? As during every election season, voters are flooded with confusing and contradictory political mailers. Politicians hope that voters will just peruse the feel-good photos of candidates and their smiling families, note that they've been endorsed by presumably important people, and not think too much beyond that.